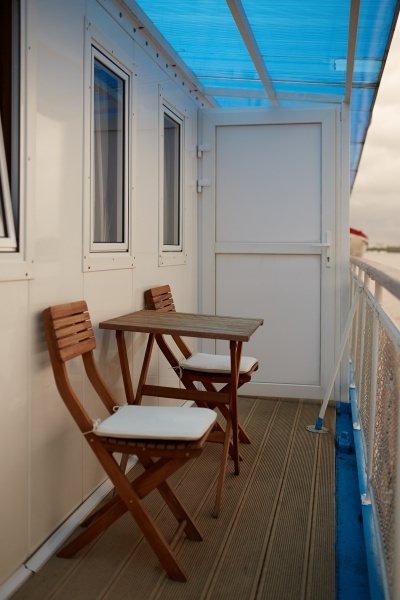 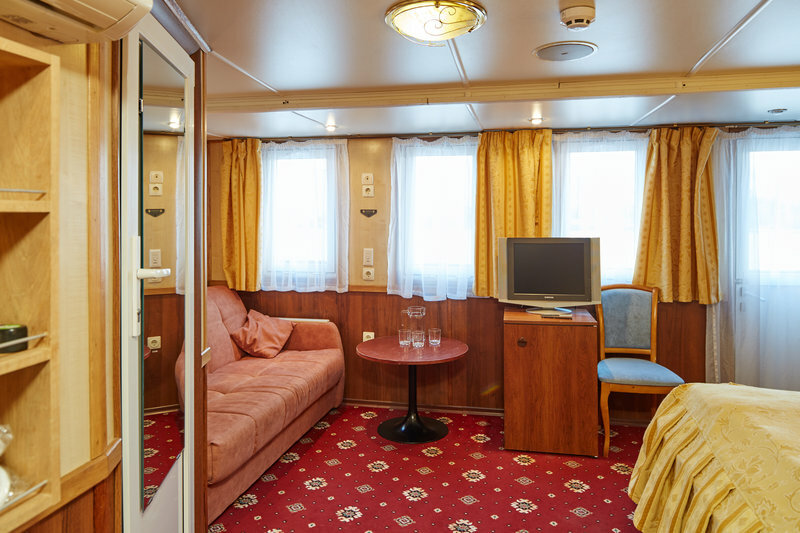 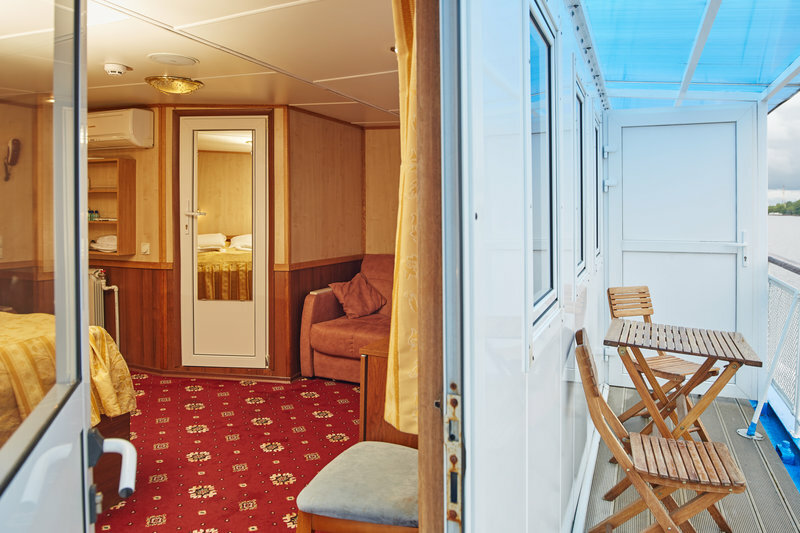 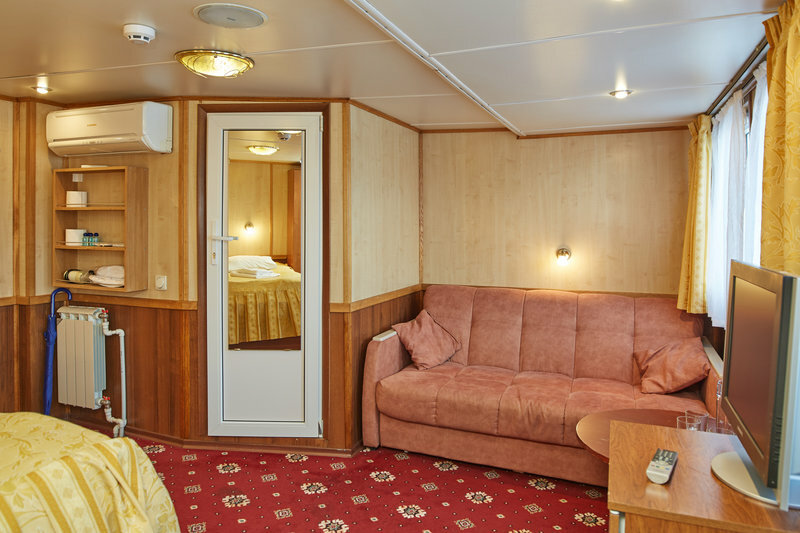 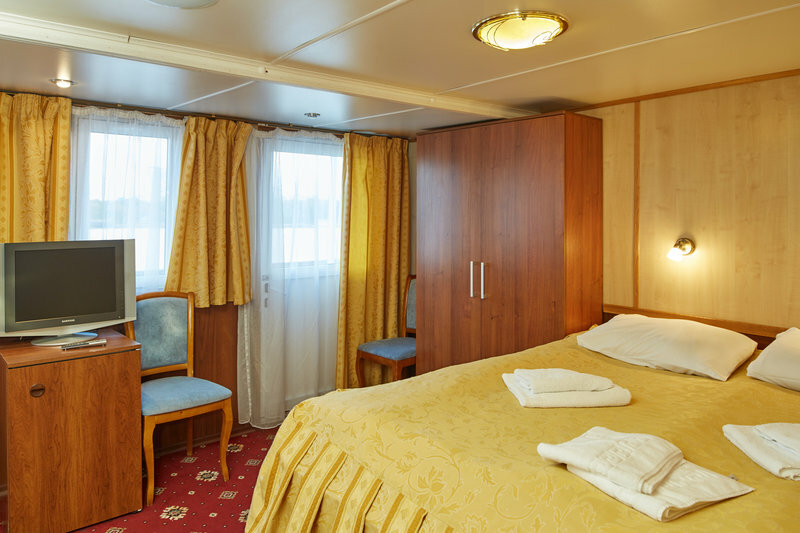 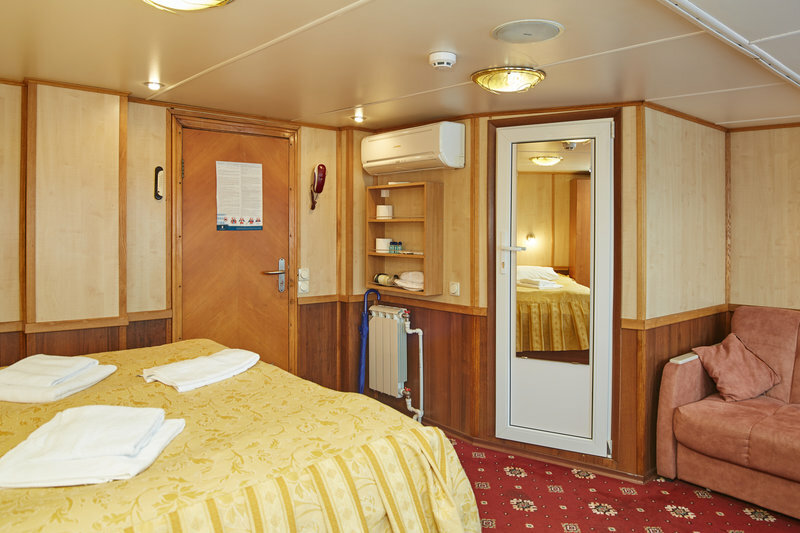 Double cabin located on the boat deck. 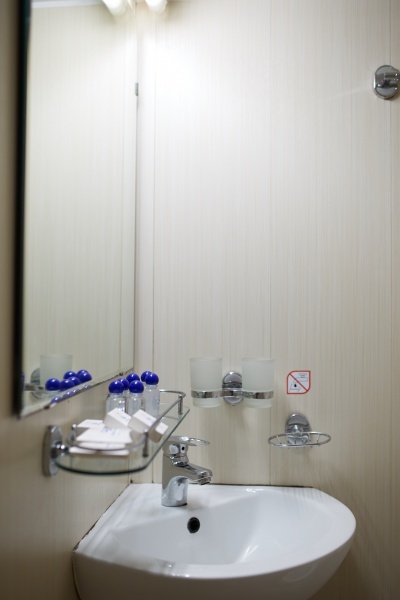 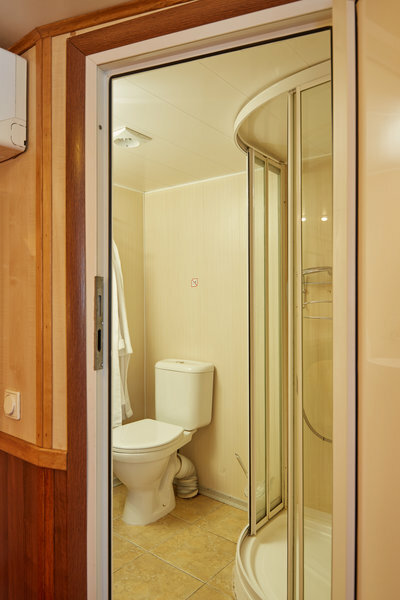 The area of the cabin is 15,5 sq. 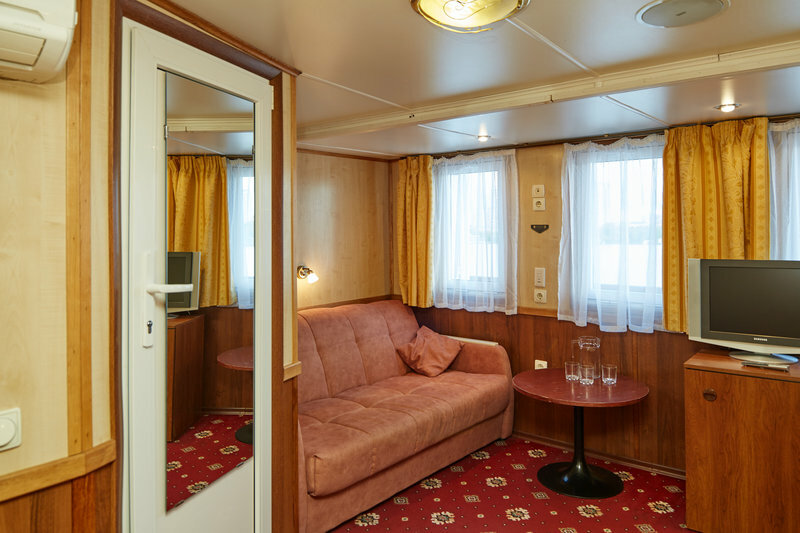 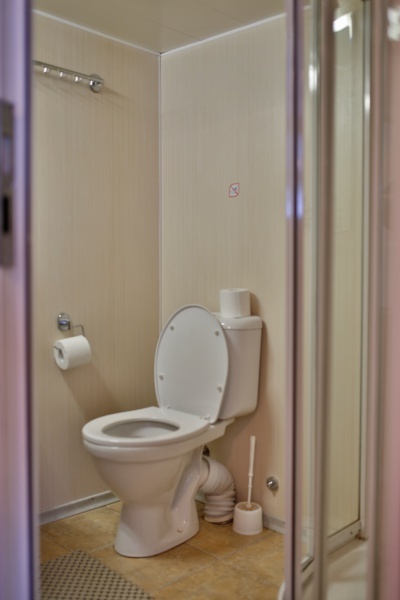 m. The cabin consists of a double bed, folding couch, fridge, TV, air conditioner, balcony, shower, toilet, cabin hairdryer, individual phone line.